While remakes of older films have a tendency to fail in terms of storytelling and just overall quality, for some reason most remakes of George A. Romero’s films seem to do quite well. The Tom Savini-directed remake of the original Night of the Living Dead wasn’t better than the first but was very entertaining and stood on its own merits. The next Romero film to be remade was another of his horror classics, Dawn of the Dead. Another first time director in Zack Snyder handled this remake (despite howls of protests about the attempt to remake a film many consider one of the greats) and what he ended up making didn’t disappoint and has become of the the last decade’s best horror entries. While the remake of Day of the Dead ended up becoming a huge pile of crap I am happy to say that the remake of Romero’s bio-terror flick, The Crazies, under the directing work of Breck Eisner ended up better than I expected and, in my opinion, surpassed the original. The film adheres pretty close to the original with just the setting having changed from Evans City, PA to Ogden Marsh, Iowa. Using this Midwest backdrop the film quickly establishes that Ogden Marsh is the prototypical Middle America town with everyone in the town of 1260 knowing everyone. They town even celebrates itself as the friendliest town in America. This all changes when a seemingly random and tragic event at a high school baseball game shatters the thin edifice of the town’s neighborly facade. The town’s sheriff (played by Deadwood’s Timothy Olyphant) knows that something is not right when another inexplicable murder happens the following day. The final clue which reinforces this hunch of his is when a trio of local hunters stumble upon the decomposing body of a pilot who died attempting to parachute and landing in a creek marsh close to town. The plane of the said dead pilot is later found. Not knowing what exactly was being ferried (later discovered to be a bio-weapon code-named “trixie”) on this plane the sheriff and his deputy (played by Joe Anderson) soon find the town’s phone lines, cellphone signal and network connection down. The middle section of the film happens occur with the arrival of “help” in the form of biohazard-suited soldiers forcibly taking all accounted for townspeople from their homes and herding them in the local high school. It is in this section of the film where the remake deviates somewhat from the original. The story never truly establishes just exactly why the soldiers were using extreme tactics and protocols to contain the town and the surrounding area. The film seem to set the military as a faceless machine doing things by-the-book to the detriment of the town and it’s population. The original had the infected and uninfected civilians trapped between the military apparatus trying to contain the outbreak by any means necessary and the scientists flown in to try and find a cure. Writers Kosar and Wright keeps the film centered on the Sheriff Dutton, his pregnant wife (played by Radha Mitchell), his deputy and the his wife’s assistant. By keeping the film focused on these four individuals the film loses the epic, grand-scale Romero was trying to do with the original and instead we get a more intimate, personal film about survival in a world that suddenly has gotten apocalyptic overnight for these four. It helped the film and Eisner that his two leads in Olyphant and Mitchell were up to the task of giving their husband and wife characters some gravitas in what could’ve easily been just a paycheck performance for them. Olyphant as Sheriff Dutton was especially good in his performance. He kept his character grounded throughout most of the film. Never did he play his character false in that one-minute we get a confused, desperate husband searching for his wife and then next minute we get a badass action hero who can’t get hurt and always coming up aces. Joe Anderson as Deputy Russell Clank who added just a tad bit of levity to an otherwise very tense film from beginning to end. The infected townsfolk were not zombies as others might like to say. They have a certain similarity to Danny Boyle’s “Rage-infected” but while those seem to get a boost in strenght and speed in The Crazies those who become infected seem to just go all nutfuck crazy. While physical changes occur the longer a person was infected (veins beame inflamed and show up visibly) the “trixie” bioweapon does to those infected what the title says: crazy. Some behave in a crazy non-violent manner with uncontrollable giggling. Some would start rambling for no apparent reason while others become homicidal. It’s the last example which becomes the film’s second danger to the film’s leads in their attempt to survive the night and find safe haven. It’s from the viewpoint of these four individuals that the audience experiences the night when Ogden Marsh must survive not just the “crazies” but also the government sent in to “help” contain the situation. As stated earlier this time around we do not know the motivations of those sent in to help. The government and the military force sent in are not just faceless, but mechanical in their handling of the situation. People were gathered en masse from their homes and paraded through a series of checkpoints to be checked, prodded and separated from those infected. We hear random bits and pieces of radio communication amongst the soldiers and the scientists controlling the situation, but not enough to know what their true agendas. As the film progresses the danger posed by the “crazies” themselves seem to pale in comparison when we finally see the final solution the military and the government has come to in dealing with the outbreak. An outbreak caused by an accident and one which happens to occur near this small Iowa town. Just like in Boyle’s own 28 Days Later the solution which the military has come up with to deal with both infected and uninfected ends up being the craziest and horrific action by any and all in the film. There’s a sense of detached horror in how the government decided to truly contain the trixie outbreak. The film was by no means a great one, but director Breck Eisner does a good job of keeping the film moving forward at a brisk pace right from the start then turning things up the farther in the film we get. By the time The Crazies hit the midway point the film the pacing has gone from brisk to unrelenting. There’s barely a chance for the audience to take a breather from the tension and terror before another one comes along. The decision by the filmmakers to just show the film from the point of view of the sheriff, his wife, the deputy and the assistant keeps some of the moral questions brought up by Romero in the original. Just like with Snyder’s remake of Dawn of the Dead, Eisner goes for the easier route and concentrates on making a thriller instead of trying to push complex social and moral commentaries. While this might disappoint some fans of the original in the end it makes the film more accessible for the wider audience. In the hands of a more capable filmmaker and writers would this compromise to simplify the film have been avoided. Sure it could’ve but for what Eisner and company ended up creating was still quite engaging and entertaining. In the end, The Crazies was a remake of a horror master’s earlier film that more than hold it’s own against the original and actually surpasses it despite a storyline which had been simplified. It’s not one of the best films in the early part of 2010, but it definitely wasn’t the trainwreck may think horror remakes always end up being. Clint Mansell is part of the new group of film composers (Nick Cave, Warren Ellis, Javier Navarrette) who have composed some of the best film scores of the past decade. Their background in music usually doesn’t follow the usual classical training like their older contemporaries like John Williams, James Horner and Hans Zimmer. Most started as members of rock bands and through the years branched out to other musical genres until finally breaking into the film composing side of the art. Mansell has been linked with film director Darren Aronofsky. He’s scored every Aronofsky film going back to the filmmaker’s very first feature-lenght film, Pi. He finally entered the consciousness of film score fans everywhere when he composed and arranged the eclectic and haunting score for Aronofsky’s second film, Requiem for a Dream. That particular film score has become a cult classic that it’s main theme, Lux Aeterna, has become one of the go-to pieces of music for film trailers. Aronofsky’s third film, The Fountain, once again has Mansell composing and arranging the musical score. What he came up with for the film has become the favorite of many music lovers everywhere. The score for the film was a progressive and impressionistic marvel as Mansell collaborates with the Kronos Quartet and the post-rock Scottish band Mogwai. 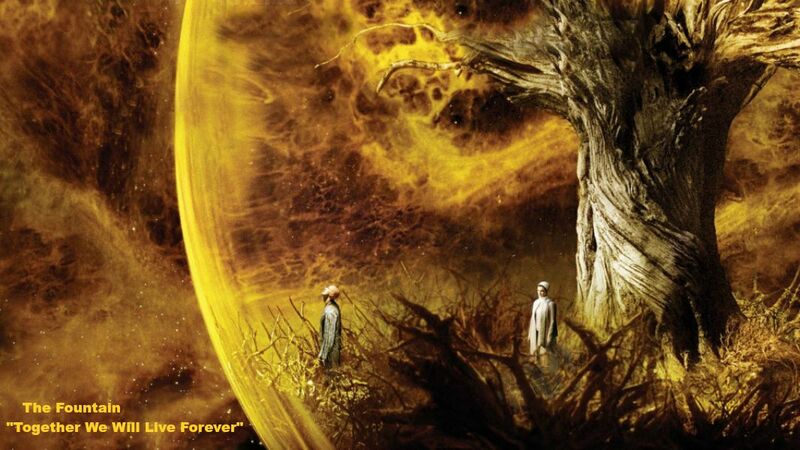 Mos of the score uses the progressive influences of Bowie and Mogwai with the classical sound of Kronos, but it was the final song in the film which I found to be my favorite of all of them: Together We Shall Live Forever. Originally composed to be an electronic piece with vocals, but at the last minute Mansell decided that wasn’t the appropriate way to end the film. Instead he took the same music he had already composed and played it as a haunting piano solo. The song perfectly defines the central theme of the film: love and death. It is really difficult not to listen to this song and not reflec back on one’s own loves gained and lost. While it is not what one might call “Valentine’s Day” music it is one for people whose experiences with love and death have had a profound impact on them. The latest to take the mantle of site hottie of the day is the lovely Elle Navarro. Ms. Elle Navarro is a Filipina-Caucasian model and dancer who makes Burban, California her home. Born of a Caucasian father and a Filipina mother, Ms. Navarro was born in the Philippines in 1986 before moving to Oxnard, CA as a young child. She has been quite active in the import car modelling scene and has gained a following of fans from her appearances at import car tuner shows. She has started to move towards acting. Ms. Navarro has become more known to the public due to her participation in the VH1 reality tv show, For the Love of Ray J. She has mentioned in many magazine interviews how she was quite the tomboy growing up. If all tomboys grow up to be like her then most guys in their teen years would definitely stop going for the cheerleader types. I just came across the trailer for this little film from Danish director Nicholas Winding Refn (directed the soon-to-be cult-classic, Bronson) called Valhalla Rising. I’ve heard of this Viking period film late last year, but couldn’t find much info on it other than it was one brutal and great-looking film. Whether it was any good I still have to see for myself. The film stars Mads Mikkelsen (Le Chiffre in Casino Royale and Tristan in King Arthur) as the Norse warrior One-Eye in 1000 A.D. and travels with a boy named Are as they join with a band of Vikings. From what I could tell from the trailer above much violence occurs during their travels. The choice of music for the trailer is more than just a bit unusual especially when paired with the brutal scenes of violence shown. I’m always down for some ultra-violent filmmaking and at times that alone will save a film for me. Here’s to hoping that Valhalla Rising will be more than just brutality and gore but actually have some depth to it. If it doesn’t then at least I’ll get my fill of the grue and gore. Capcom’s Dead Rising stands as one of the most fun titles to come out for the Xbox 360 since its initial release in late 2005. From the makers of the Resident Evil series for past console systems, Capcom has taken a new approach in adding to their growing library of zombie titles. Dead Rising is a semi-freeroaming action-horror game which takes the classic premise of George A. Romero’s Dawn of the Dead — survivors trapped in the mall teeming with flesh-eating zombies — and makes a fun and exciting game. The game takes place Willamette, Colorado, population 53,594 where nothing exciting happens in town outside of visiting the local mega-mall which seems to dominate the entire town. Dead Rising uses a time-based mission system and the intro cutscene in the beginning of the game hints at this. You play as freelance photojournalist Frank West, who never fails to mention that he’s covered riots, wars, and all sorts of dangerous events, who gets a tip from an unknown source that something big is happening in little old Willamette. The intro both introduces Frank West, flying over the town to bypass the military blockade and cordon of the town, and the controls for the photography mechanics of the gameplay. It’s in this hands-on tutorial part of the intro that we see a bird’s eye view of the crisis that has befallen Willamette. From there you’re dropped onto the roof of the Willamette Mall where you meet one of the few survivors of the town. The rest of the game moves on from there at a very frantic pace. It’s the game itself that shines for Dead Rising. Despite a save system that could’ve been done much better (more on that later), Dead Rising‘s gameplay mechanics has quite a bit in common with Rockstar’s Grand Theft Auto series. From the get-go the player as Frank can just go down into the mall and begin killing zombies left and right, and everyway from Monday through Sunday. All manner of items stocked in the mall walkways and stores can be picked up and used either as a weapon, a change in clothing attire, and/or food. This is where Dead Rising will get most of its mention for being fun. When Capcom programmers decided to allow the player to use anything that could be picked up as a weapon they meant it. There’s over 200 useable items to be picked up as a weapon. These items range from the gore-inducing lawnmower (an homage to Peter Jackson’s Dead Alive zombie film), chainsaws, and excavators (a garden tool that has one of the bloodiest and funniest killing animation) to the ridiculously funny use for CDs, shower-heads, novelty masks, teddy bears and skateboards. There’s also the more traditional weapons such as a pistol, shotgun, submachine gun, machine-gun, swords and axes. Being a game developed by Capcom, Dead Rising has more than a few wink-wink acknowledgement to other Capcom games such as Mega Man and Resident Evil. One could spend all their time just killing zombies, but the strict time-based missions in the game might make zombie-killing take a backseat to actually solving the mystery of what’s caused the zombie outbreak in the town. There’s two types of missions Frank could try solving. There’s the mandatory “Case Missions” which deal directly with him trying to solve the mystery within the 72-hour time limit. Each case mission must be solved in a linear order to open up the next case. The second set of missions are named “Scoops” and act more as sub-missions that can be taken on and accomplished or ignored. They really don’t affect the availability of further case missions. What they do give Frank are prestige points that can go a long way to levelling him up to gain more skills and abilities. Most scoop missions usually entail finding scattered survivors within the mall and leading them back to the safety of the security office near the roof. Some survivors could be armed with extra weapons Frank carries and defend themselves when attacked, and some survivors are so incapacitated that Frank must carry them to safety. While carrying a survivor Frank will be unable to use a weapon so this type of mission usually takes several tries before the player figures out the best path to safety. Like most game AI, the survivors need a bit of constant attention from the player to make sure they’re actually following you and not stopping every second to fight the closest zombie. It’s not a gamebreaker but the survivor AI could’ve used some more tweaking to make them follow much better. As mentioned above, Frank can level up to a level cap of 50 by acquiring prestige points (called PP in the game). Prestige points can be acquired through many different ways within the game. Taking pictures of different nature and quality will give Frank prestige points as high as several tens of thousand. Shots with poses that follow a certain genre gives more points than those that are just generic poses. Such genres that shots can be taken of are shots of burtality, horror, outtakes, drama and erotica. Erotica shots are pretty much just photographs taken of survivors and zombies (creepy) in sexually-suggestive poses. Brutality shots are usually pictures where extreme violence and fighting poses are framed and photographed. Horror is pretty much self-explanatory. Drama shots usually involve pictures with survivors and main npc characters in dramatic poses. Outtakes usually entail photographs taken of survivors and zombies involved in any sort of funny situations. Usually them slipping and falling down or wandering around aimlessly with novelty masks over their heads. Other ways to gain prestige points will be to finish case missions and scoop missions. The PP reward for finishing part or all of each mission usually range from several thousand to as high as 50,000 PP. The high amount of PP reward for taking on and accomplishing these two types of missions go a long way to levelling up Frank. The most fun way of getting PP, though not as much and takes a long time, will be to kill zombies. For every 50 zombies killed Frank gets 500 PP and everytime Frank reaches 1000 zombies killed he gains 20,000 PP. It’s a much slower path to gaining PP but it’s surely the most fun of the three ways. The main storyline in Dead Rising is actually a very good one. Like most games outside of the role-playing game genre, storylines were usually the weakest of all the games had to offer. In Dead Rising, Capcom was able to create an intriguing storyline that didn’t rip-off the Dawn of the Dead story that the game will always be compared to. There’s conspiracies, betrayals and just outright weirdness to help tie together the mystery of why Willamette, Colorado has suddenly gone zombiefied and why the U.S. military and government were quick to quarantine the whole area. The game itself leans more towards comedic horror than outright horror. There were some cutscenes and plot developments that were downright creepy and scary, but most of the time you’ll just laugh in glee at all the carnage you’re causing within the mall. The characters of Frank West and those npcs he has to deal with in the context of the case missions were pretty well drawn both in animation and personality. As the game progressed and certain characters were put in danger it was hard not to feel saddened by such tragic events. It helps that the voice-acting in Dead Rising was pretty high quality. The spoken dialogue during the cutscenes were pretty well done and one could sense that Capcom wanted to really capture the cinematic tone they were going for with Dead Rising. Now to the one glaring negative in Dead Rising. The save system in this game could be called unforgiving and that’s saying it lightly. The game only allows for one save per memory unit. This means that you can only save the game once if you only have the 360 HDD as your memory unit. This means that once you save over a previous save then thats it. If you’re current save doesn’t give you the chance to finish your current case mission then you pretty much have to start the game over. This would sound terrible if not for one saving grace. Dead Rising allows the player to start the game over with all skills, abilities, levels and PP acquired to be transferred over to the new game. This lessens the impact of having to start the game over. It also helps in power-levelling Frank to a level high enough that you can breeze through the case missions. Starting the game over and over with stats and skills included also gives the player a chance to try different methods of solving a case until finding the one thats easiest to do. I know of players who have done nothing but just kill zombies and try on a few case and scoop missions to gain PP to level up then start the game over then repeat the cycle again. This makes the game much easier in the long run, but also takes time. The graphics in Dead Rising is good to above-average. Capcom went away from making the best-looking graphics and instead opted to go for just good with most of the 360’s power under the hood set aside for the zombies. The game has lots and lots of zombies on-screen and when I say lots I mean in the hundreds, if not thousands. There’s barely any slowdown in frame-rate as the action on the screen gets heavy and crowded. The look of the mall itself was also well done. Each store and utilitarian room has their own unique look with most items rendered with enough detail to be recognized as either weapon, sustenance, etc. Overall, Capcom has created a great game with their action-horror/comedy Dead Rising. With a choice to either play the game in the free-roaming style of Grand Theft Auto to a more time-based, linear mission-style of an action game this game more than makes up for unforgiving save system its developers decided to give it. Outside of the save system which keeps this game from reaching excellent status, Dead Rising is a great and fun game that should remain fun to pick up long after the player has finished its main mission. With a sequel already set to be released on the tail-end of summer 2010, this game is a good way for one to reacquiant themselves with some zombie-killing. Our latest hottie of the day is the lovely Takizawa Nonami. Another in a long line of gorgeous gravure idols out of Japan, Ms. Takizawa was born in 1985 from Saitama Prefecture right outside of Tokyo. She is quite famous for her girl next door smile and for her voluptous figure. While she first came up doing gravure photobooks and modeling videos, Ms. Takizawa quickly branched out to other aspects of the Japanese entertainment industry. She has appeared in Japanese TV shows such as the TV drama adaptation of the anime and manga Akihabara@DEEP. Roles in Japanese films soon followed not to mention even appearing in the stage drama production Gekidan Taishu Shosetsuka in 2006. In addition to appearing on TV, film and stage she has also started a burgeoning music career with two full-lenght albums to her credit with three best-selling singles in Japan. Her popularity has extended far from the shores of Japan and into the West with a legion of fans growing in the U.S. due to her gravure idol photobooks being made available on-line and some of her modeling videos seen on YouTube.